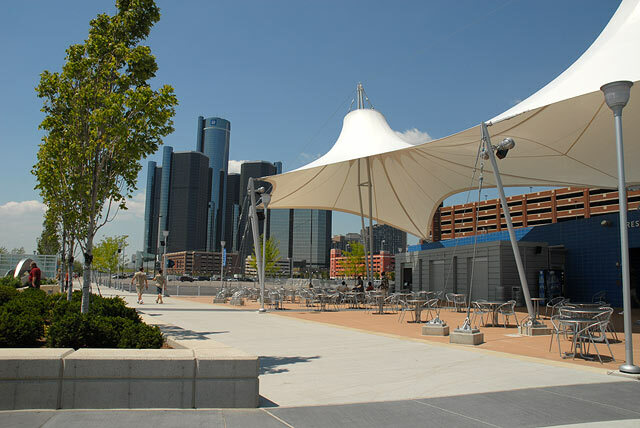 A dramatic new addition to the ever-growing Detroit Riverwalk has opened between the Rivard Plaza Pavilion [foreground] to the Renaissance Center. 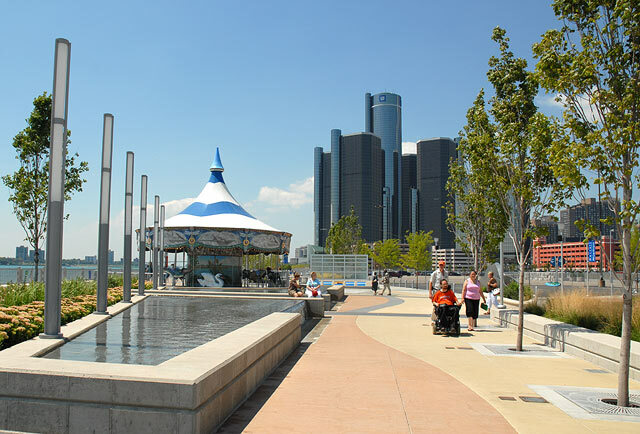 Let's take a walk to the RenCen and back. Panning left we see a reflecting pond and water fall with a merry-g0-round in the mid-ground. 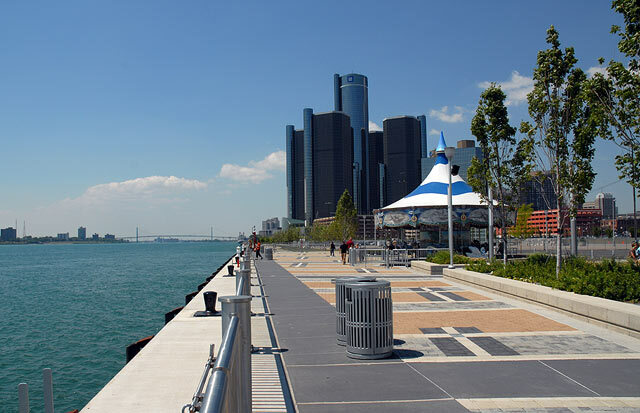 The Straits of Detroit with Ambassador Bridge in the distance.